I Love You! 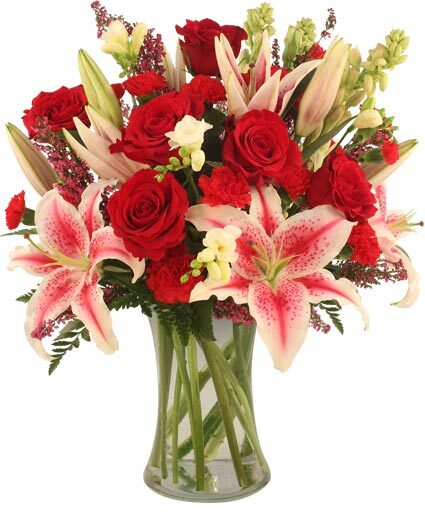 Glamorous Bouquet of Stargazer lilies, red roses, red mini carnations, white freesia and white tuberoses. 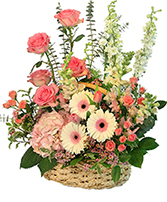 Order fresh florals online from Vicky's Floral Design by 2pm and we can deliver today!